Mohamed Nizam Kariapper was born in Kalmunai and hails from the historic and ancestral “Kariapper Family” from the Eastern Province. His father, the late M. H. Kariapper too was a lawyer who practised in Kalmunai and later became a judicial officer and retired as a Grade 1 District Judge. He had his primary education at a Buddhist temple in Kalmunai, which was later known as Kalmunai Sinhala Maha Vidyalaya. Having passed the Grade Five Scholarship Examination, Kariapper entered D S Senanayaka College in Colombo, where he sat for his Advanced Level examinations successfully. Thereafter he entered the Law College in 1983 and passed the Attorney-at-Law final examination held in October 1985. Thereupon he was admitted as an Attorney-at-Law of the Supreme Court of Sri Lanka on 31 of October, 1986, at the age of 23. He was one of the youngest lawyers and first batch of lawyers to take oaths as Attorney –at law from D S Senanayake College. Incidentally, there was only one other lawyer from D S Senanayake College in this batch namely, Shanaka Ranasinghe, who too joined the Attorney Generals Department and became Presidents Counsel. Kariapper apprenticed in the Chambers of Faisz Musthapha, President’s Counsel and late MHM Ashraff PC. Upon being admitted to the Bar, he commenced practising in Colombo. Within a short period of practice he was appointed as an Acting State Counsel in the Attorney General’s Department effective from July , 1987. Subsequently, he was appointed as a State Counsel from July 7, 1988 and later served in the Attorney General’s Department till 1991. During this period he worked both in the Civil and Criminal Divisions of the Attorney General”s Department. His services at the AG’s Department has been commended both by his superiors as well outside clients who obtained the services of the Attorney General. A ‘letter of appreciation’ by the National Paper Corporation was issued dated January 15, 1991, in which the then Chairman of the National Paper Corporation, had provided a written tribute to him in respect of a Labour Tribunal case handled by him. In 1991, he commenced a practice of his own having established a Chamber and an office in Hulftsdorp, Colombo, having with him number of juniors who started their practice in the newly established chambers. Kariapper took keen interest in training young lawyers from outstations who lacked the opportunities of having the exposure in Colombo and their lack of language proficiency in English. The Clerical staffs who were trained under him subsequently, obtained employment as Legal Clerks in Corporations and Banks through the experience gained in his office. Since then, he has trained a minimum of five to six apprentices in his chamber every year. Kariapper has also established a successful civil appeal practice and handles large numbers of civil appeals that have come from the Eastern Province both in the Court of Appeal and the Supreme Court. In addition, he handles many fundamental rights applications in the Supreme Court. He also served as a member of the Public Service Commission in 2001 for a short period. He obtained a Master’s Degree in Public Law, from the University of Colombo in 2011. Kariapper is one of the founder members of the Sri Lanka Muslim Congress and holds the post of Deputy Secretary General since 2001. He is a prominent member of the Constitutional Affairs Committee of the Sri Lanka Muslim Congress and has represented the Party in all the constitutional reform processes over the last twenty years, which had provided him with wide exposure in the fields of Constitutional law, both in Sri Lanka and abroad. 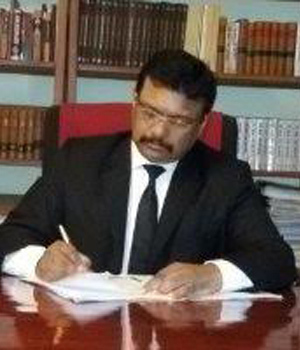 Weliamuna commenced his practice in 1989 under Edgar Cooray, in the field of Commercial Law and Industrial Law until 1991. Since then, he has appeared mainly in Civil Courts, Labour Tribunals and Commercial Arbitrations. From 1992 to 2000, he worked in the Chambers of R.K.W. Goonesekere, and specialised in Public Law. He has also worked with Ranjith Abeysuriya PC, Kang Iswaran PC, D.S. Wijesinghe PC, Faiz Muthapha PC, Romesh De Silva PC and Tilak Marapone PC. Since his enrolment, Weliamuna has appeared in a large number of legal aid cases involving disappearances, torture, unlawful detention, freedom of association and national security laws. In addition to the Supreme Court and Court of Appeal, he has also appeared widely in High Courts, District Courts and Labour Tribunals. 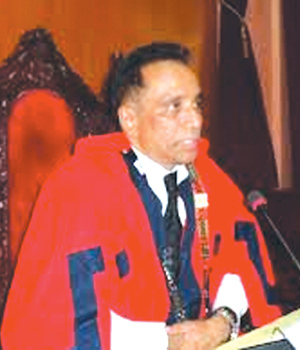 Having read for a Masters of Laws from the University of Colombo, Weliamuna is an Attorney-at-Law, Commissioner for Oaths, Life Member of the Bar Association of Sri Lanka and a Life Member of the Organization of Professionals Association. 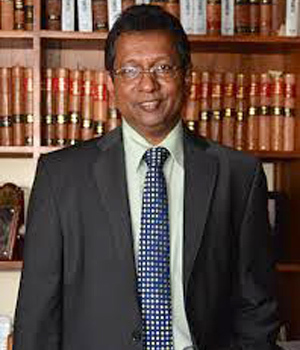 He has actively contributed to the legal profession through the Bar Association of Sri Lanka where he had been a member of the Bar Council for the past 15 years and had served in the positions of Chairman of the Overseas Relationships Committee, Convener of the Human Rights Committee, Member of the Committee of the BASL (headed by Desmond Fernando PC) to study on the proposal of the then Chief Justice to introduce age limit for Law College entrance and as a Member of the special committee of the Bar, headed by Desmond Fernando PC) to draft a contempt of Court law. Among his great accomplishments are the appointment as Chairman of the Special Presidential Task Force on Recovery of Stolen Assets, to trace and recover proceeds of crimes located abroad (current), appointment of a Member of the Anti Corruption Committee, headed by the Prime Minister, based on a Cabinet decision to assist, among others and the Anti Corruption Secretariat on legal issues (current). He was the Chairman of the Board of Inquiry, investigating into allegations of corruption and mismanagement in Sri Lankan Airlines. The Citizens Peace Award in 2012 was awarded to Weliamuna by the National Peace Council to honour his outstanding contribution to the promotion and protection of human rights and good governance. Weliamuna was also elected as an Eisenhower Fellow in 2004 where he dedicated the focus of his fellowship to the study of the judiciary and judicial accountability in the USA. He now represents Sri Lanka on the Global Network Council of Eisenhower Fellowship. Padma Bandara’s career as an attorney in the original and appellate courts spans 27 years. Having successfully completed his studies at the Sri Lanka Law College, he followed his apprenticeship period in the Chambers of President’s Counsel Ranjith Abeysuriya and President’s Counsel Faiz Musthafa and also at the office of Attorney-at-Law Palitha Matthew. Bandara was enrolled as an Attorney-at-Law of the Supreme Court of Sri Lanka on November 04, 1989 and later joined the chambers of President’s Counsel Ikram Mohamad. While working as a Junior Counsel in the Chambers of Ikram Mohamad PC, he gradually started practising on his own by appearing mainly in the District Court of Colombo and the Court of Appeal and also the Supreme Court. 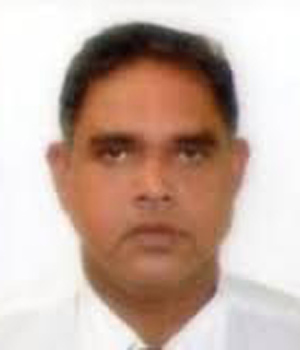 From the year 1990 to 1996, he also worked in the capacity of the Resident Sub Warden of Sri Lanka Law College Hostel, whilst engaging in his private practice. At present, Bandara commands an extensive practice in civil and commercial Courts and also in the appellate Courts. Though he mainly practices in Colombo, he also travels outstations to appear on specially retained cases.During the term of his service, he has produced a large number of juniors, some of whom had joined the judiciary, while some were doing extremely well in private practice having their own chambers and offices. Bandara has appeared in several important and land mark cases which had gained him much popularity and to his clients. Bandara had maintained the highest standard expected of a Senior Counsel. He has also participated in several law conferences and read papers in civil and personal laws. He has functioned as a member of the Lawyers’ Disciplinary Committee of the Bar Association. He is a respected Senior Counsel at the Bar and commands high respect from the Bar and the Bench. Anuja Premaratna, born on July 5, 1970, hails from a legal background where his father W.K. Premaratna was an advocate and former Crown Counsel and a Lecturer and an Examiner at the Sri Lanka Law College. His mother, Matilda Premaratna was a Director at the Department of Small Industries. He entered Royal College Colombo 7, in 1977 and completed his advanced Level examination in 1990. He also took part in several Rallies (car racing) and was placed first place on several occasions, including the SLAARDAR 1000 which was the most prestigious rally at that time (1992). Premaratna entered Law College in 1992 where he met his wife Yenuka Premaratna, who is also an Attorney-at- Law. At the Law entrance examination he was placed first in the country and as such, was a recipient of a Mahapola Scholarship on merit. He obtained first class passes at the 1st, 2nd and 3rd years at Law College. Although he received admittance to the Colombo Law Faculty, he entered the Law College first due to the back log that prevailed at that time. He worked in the Chambers of Thilak Marapana P.C. and worked as his junior in several cases. He was enrolled as an Attorney-at-Law on December 15, 1995. Thereafter, he joined the Attorney General’s Department as a State Prosecutor. After serving for some years as a state prosecutor he resigned and commenced his own practice. He has also been Junior to Daya Perera P.C. and Kalinga Indatissa P.C. 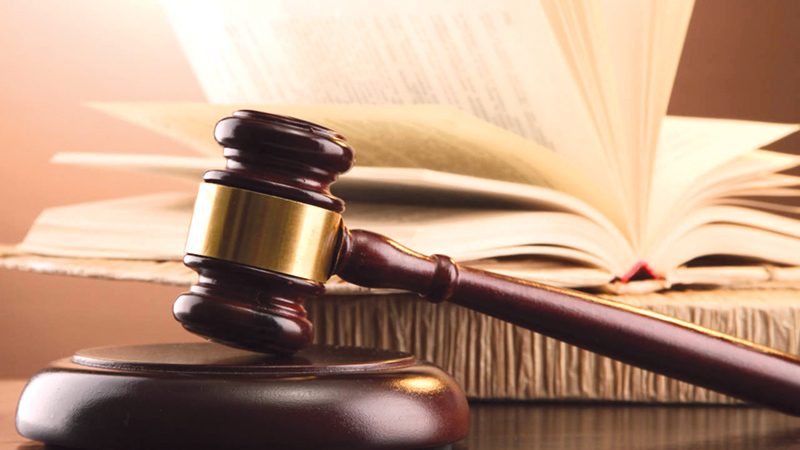 He specialize in criminal law and has been involved in several cases of prominence. These include the Royal Park murder, the Noori Estate murder, Baratha Laxman murder and the recently concluded case pertaining to the killing of MP Nadarajah Raviraj.